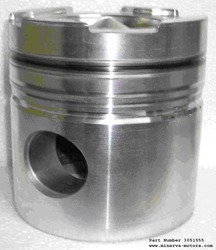 Our company is a very well renowned name of the industry for providing a high quality range of Piston to our shoppers. These are made by utilizing optimum quality material and advance technology. Our products are widely used in various sectors. These are attainable at leading market prices. Man 30/45 piston for marine engine and diesel generator spare parts. Engine Allen BCS 12D new Piston. Among our wide range of products, we are providing a premium quality assortment of Engine Piston. Due to the skills and proficiency of experts, we are enormously praised for providing a superior quality of Engine Piston to our valuable customers. 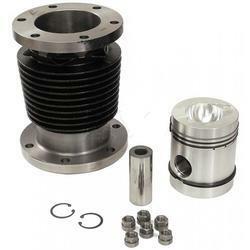 We are a renowned organization that is engaged in offering optimum quality Engine Pistons. Manufactured using high quality metal, these pistons are in compliance with international quality standards. With the help of our expansive distribution network, we make sure that consignments are timely delivered. We are making Pistons For Small Petrol Engines like robin (EY14, EY15, EY16, EY17, EY18, EY20, EY24, EY25), sthil, yamaha, honda and others.